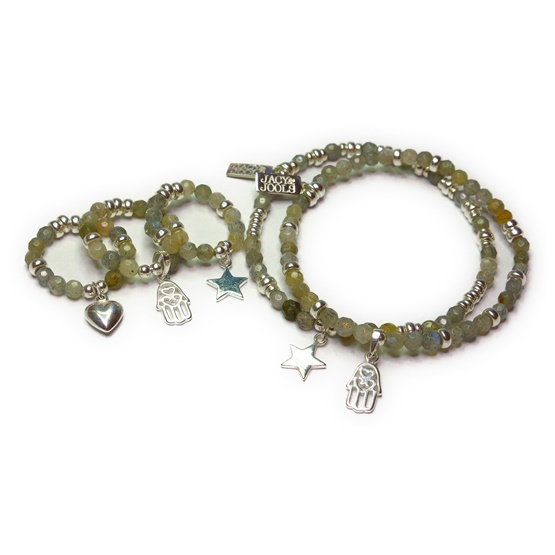 We love these super cute faceted labradorite and sterling silver stacking rings with a choice of sterling silver charms! 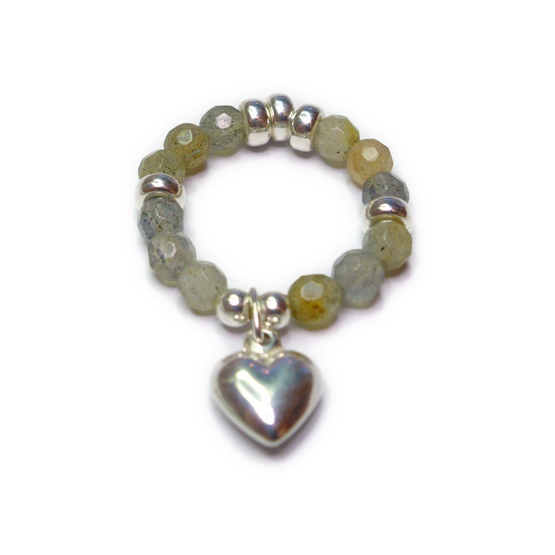 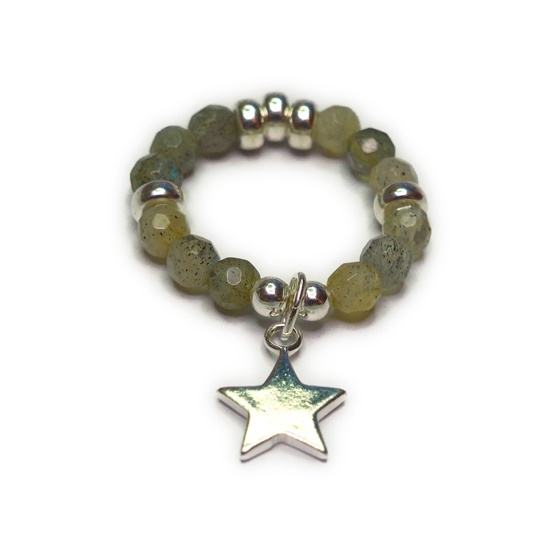 Each ring is made from 4 mm faceted labradorite combined with sterling silver rondelle beads. 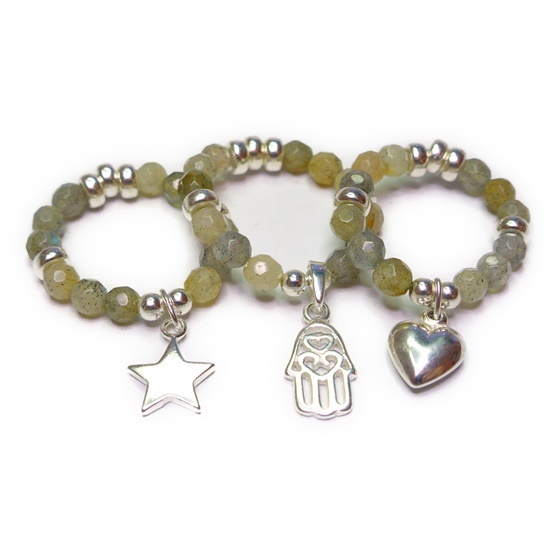 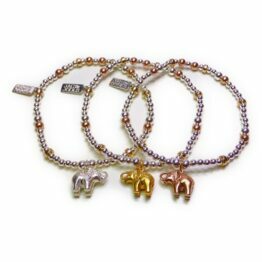 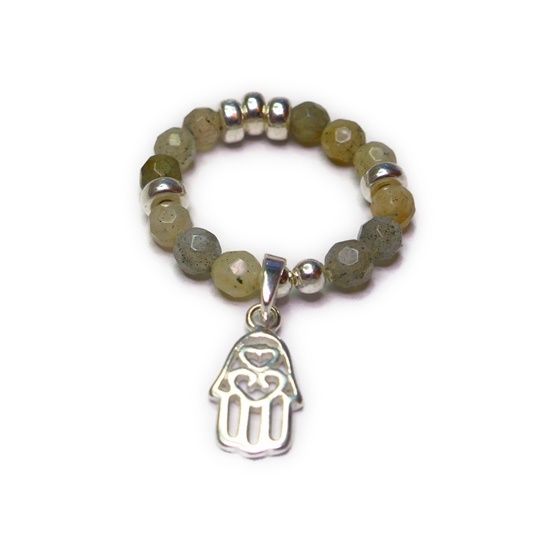 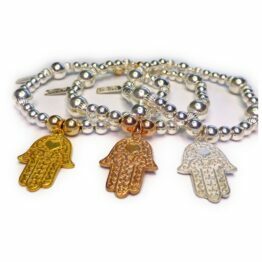 Choose between star, puffed heart and hamsa charm. 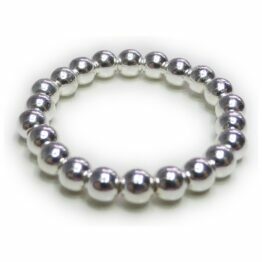 All our rings are made using high grade professional jewellers’ elastic to a standard 2.5”. 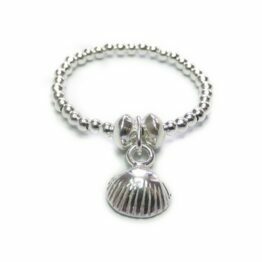 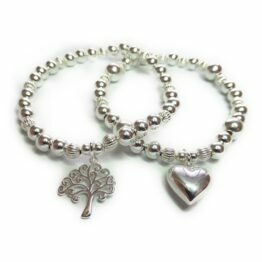 We can custom make any of our temptingly stackable rings so if you prefer a slightly different design or a custom size, just let us know by email after you place your order giving you the option of a finger, pinky, thumb or toe ring. 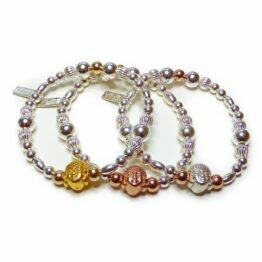 We want you to be completely happy with your ring and enjoy wearing it in your favourite stack.